SUBHEAD: Astronaut Eugene Cernan has died at 82. He was the last man to walk on the moon. Image above: Eugene Cernan aboard the Apollo 17 Command Module covered in moon dusted spacesuit on way back to Earth. From original article. "We leave as we came, and, God willing, we shall return, with peace and hope for all mankind." These were the last words Eugene Cernan said upon leaving the surface of our moon, at the end of Apollo 17. 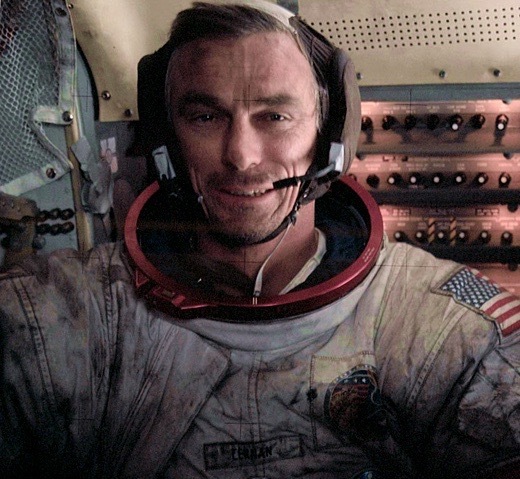 Cernan (shown below at the beginning of EVA 3) was the last man to walk on the moon. He died Monday, January 16, 2017 surrounded by his family. 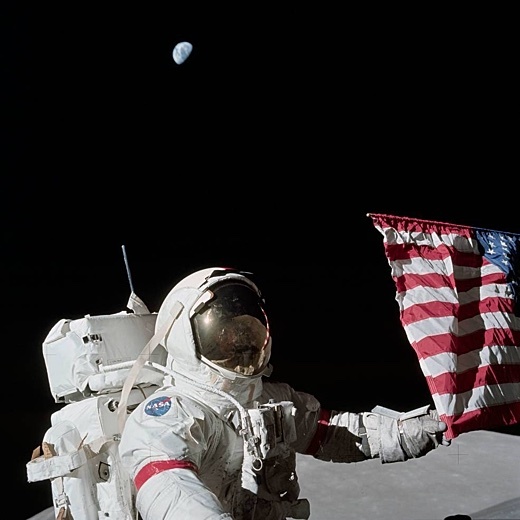 Image above: Eugene Cernan, with Earth overhead, during moonwalk during last NASA mission to moon in 1972. From original article. He was one of 14 astronauts selected by NASA in October 1963. He piloted the Gemini 9 mission with Commander Thomas P. Stafford on a three-day flight in June 1966. Cernan logged more than two hours outside the orbiting capsule. 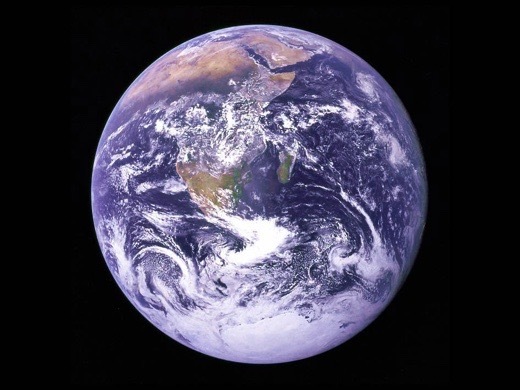 Image above: Iconic photo of whole Earth taken by Eugene Cernan during Apollo 17 mission, the last voyage to the moon. From original article. Video above: NASA film of Eugene Cernan singing "Merry Month of May" while moonwalking. From (https://youtu.be/8V9quPcNWZE). A rocky road to the Cape Canaveral. Up close to a Saturn V Rocket. NASA's first launch to the Moon.